I’m having a relaxing day. Trying to finish D’s Sangria socks. I’m on the last one while being entertained by Hitchcock’s “Dial M for Murder” yet again. Next I think I will watch “Rope” by Hitchcock. Knitting with a cashmere blend is rather nice. If I have any left over I’m going to use it in a shawl I think. 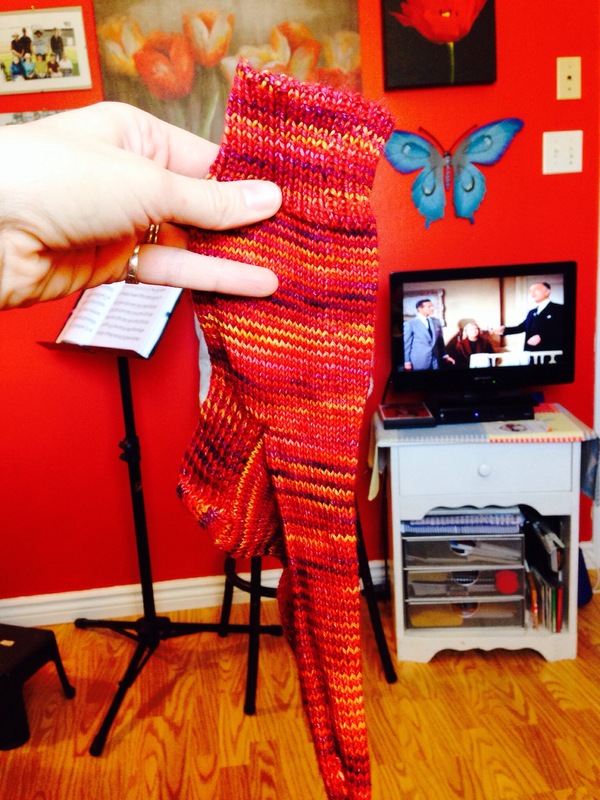 There are so many uses for left over sock weight yarn. 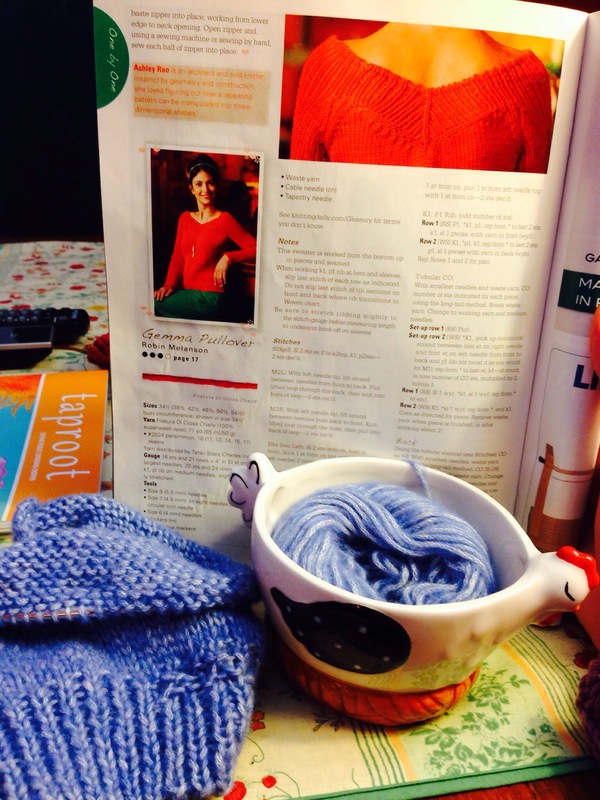 I’ve also started The Gemma Pullover by Robin Melanson. I’m knitting with Schulana a silk, wool, cashmere blend that is as light as a feather. It’s a silk tube stuffed with cashmere. It’s cool, and the silk gives the garment a kind of sheen. Like it is sun-kissed. My socks are beautiful!!! Thanks!!! !